Yes, you can use your own HTML email template. The template is built with Liquid, so you can include product details in the email template (such as product title and price). You will see the HTML code for the template. 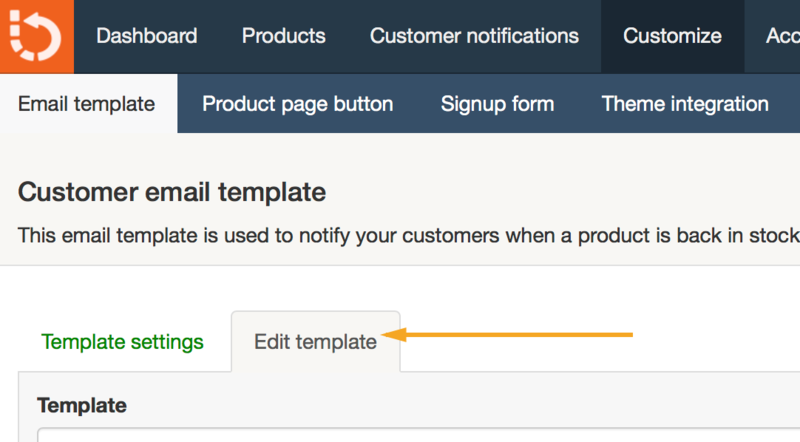 After updating your email template code you can preview the email template by sending a test email to your self. Your email template is rendered using Liquid. We support basic Liquid tags (for example, if..else) as well as a number of Liquid variables. See Email template variables and filters for a list of supported variables. Other than parsing and rendering your Liquid code we don't make any other automated changes to your code (such as a CSS inlining).